I did a lot of digging around for a suitable type and got the Salomon X-Drive, presumably a 2015 model. A local shop in Brighton had them for about £600 but I got them mail order for about £350. Last time I went skiing, I asked a guy in a hire shop what sort of skis they had which were "better" than mine. He said they don't have Salomon skis so he asked how much they were. He said their top-tier skis were about the same as what I had. I found this really surprising. Does it make sense that rental skis are really such a long way down from what one can buy - I've seen €1000-2000 skis in all the shops. Why not either a) ask an instructor if what you have is suitable or b) Rent for a day. A lot will depend on what you want the ski for. Also, many of the really expensive skis are more about the bling and design rather than their technical performance unless you are talking full on race skis. The skis I got were recommended as good for carving, which is what I like doing. I have had loads of lessons (at least one in every place I have been to, 10 so far) and none of them commented on this. @peter_h, Sounds like they are suitable then I think they are a follow on from the tornado Ti which I used to have and enjoy. If they are good for what you want I wouldn't pay extra to rent something different , if you were looking at soft snow it might be worth trying something else to see how you get on with it. Bear in mind that I am not particularly knowledgeable on equipment. Rental fleet skis are designed to be bog standard piste skis, durability being prized over any specific performance characteristics. Almost any retail ski (bar the supersoft beginner/ low intermediate targeted) will be a more pleasant experience to ski if you can tell the difference. Then people who have different requirements will find the average shop unable to meet them. There's no such thing as a better ski though once you get out of the lowest common demoninator rental fodder, just better for your skillset and purpose. If you want to see a difference and test yourself rent an FIS SL or GS ski and see if you hold on. @peter_h, One of the better analogies I’ve heard is to compare skis to cars. Cars in general have 4 wheels, an engine, and get you from A to B. But no one would argue they are all the same, so you buy a car to suit either your requirements or your desires. You can get anything from a small automatic hatchback (a beginners rental ski), to a super car (FIS race ski), to a 4x4 (either a lightweight touring ski, or a big powder ski). As already mentioned above, you have already stepped outside the generic rental models (family car using the car analogy) by buying a retail ski, so the changes you will notice by moving to a more expensive ski will be less of a step up in performance. Since you have had multiple lessons and I assume none of your instructors have commented that your skis weren’t suitable, I would try and find an independent ski shop with a good range of skis and rent a different ski every day. Many will allow you to swap skis daily if you rent under Gold or Platinum services. Alternatively if you are really lucky there may be a ski test running in your resort (or a nearby one), where you can try multiple skis on the same day under the same conditions. My immediate comment would be that after only ten lessons you're not likely to be doing a lot of carving unless you are a "natural" and very quick learner. It takes most of us much longer than that - and I'm aware that I rarely carve the whole of a turn, even on pretty easy terrain. Renting skis for one holiday - especially different models as suggested above - might be fun and save you the hassle and expense of carting yours around and getting them serviced before you go. From your videos of Madonna it looks like your technique has not reached a point in which you are carving. It follows that you're not using the scope of the skis you have and doubt whether you'd benefit from something else. It's not positioned as criticism, there's alot of people out there doing the same thing and raising yourself through that plateu is something really significant in your skiing skills. But it takes time and instruction to break through. In essence you are running the skis in"yaw" to use aircraft terminology. Going forward but skis pointing sideways so they are always slipping rather that running on an arc of their own edges. You can see that as a turn is started it doesn't develop but stays at the initial angle for a while then flips the other way. Your second video of Madonna at 5.49 time, skier in blue, left of frame gives a decent illustration of what it should look like, with gentle linked arcs which will leave "tram-line" tracks in the snow as evidence of the technique employed. You'll know when you get that feeling of setting the ski to an arc and riding round it's natural turn radius until you initiate the change to opposite direction. The ski you have will easily let you progress. I agree with @pam w, especially as in another thread you say you only ski easy, wide runs (that as I read it, you stick to and repeat?) and have to snow plough steeper sections. I suspect your current skis might be making your progress slower and "better" skis would make that worse still. You might well be better off renting but rent a more beginner orientated ski... Perhaps? There is another good skier at 6:25, red jacket. On the 10 ski trips so far I had lessons on each one. Some I thought were very good, some less so, and some were hard because (by the time we got to the slope) the snow was so rough that I could not do anything useful on it. I also did a Skivo chalet thing last Dec where one gets group instruction every day but to my amazement I found I was generally well ahead of the others. @peter_h, If you find a wide empty really gentle green or blue practice running at a steady speed and doing your turns only by angling your skis, feeling for the edge. You should have picked up from the lessons but as said above, it does take a lot of practice. Ski shops often have high end demo models you can rent, not always cheap though. I took out a pair of Atomic double decker SL skis for the day for about £35. From what I've read these are all mountain advanced/expert skis so they weren't suitable at all. Great skis but not what you needed at that time - possibly even now. It sounds like you need some easier to drive piste skis. Ironically, yes they are great skis but you would probably find other skis easier to drive. I'm not sure which shops you are looking at. On glisshop there are 401 mens ski and binding packages. Nothing is over a grand and 315 of them are £600 or lower. Punter skis that rental shops will mainly stock will be at the lower to mid ending of pricing. People who want top end skis will usually buy. some were hard because (by the time we got to the slope) the snow was so rough that I could not do anything useful on it. When did you get to the slope? June? This rings alarm bells because it suggests that you probably aren't as advancrd and versatile skier as you imagine. Your preferred environment is wide empty groomers early in the morning. Nothing wrong with that it's the A+ of piste conditions. But to get good you really need to be also able to ski in B C D and E conditions without compromising fluidity plus get perfect when you have perfect conditions. It's not about the ski but it is about more than being able to balance on it and tip it ( though those are fine starting points). I have had loads of lessons (at least one in every place I have been to, 10 so far) and none of them commented on this. #1 They have no reason to comment unless you have something really stupid attached to your feet. If they spent time inspecting and advising on your chosen planks they'd never get any teaching done. And by and larget it would be irrelevant. #2 10 weeks of lessons straight is a lot even for those that advocate a lot of coaching/lessons. You are probably wasting your money. What you need is mileage, skiing in all conditions, on as much variety of terrain as available. "From what I've read these are all mountain advanced/expert skis"
"This rings alarm bells because it suggests that you probably aren't as advancrd and versatile skier as you imagine"
I have no illusions, which is why I am asking here. "Your preferred environment is wide empty groomers early in the morning"
Exactly Best time to ski. And I don't have the stamina to do it all day. I also don't get all that passionate about anything... I got into this at age 58, which everybody told me was crazy My GF is very supportive though, as she is with my other hobbies. It was one lesson per holiday. It also helps to suss the place out, with a guide. I always ski on my own. Only 2 trips were done with another skier and they were all expert level so disappeared off somewhere else. I've always rented, and for the first few trips invariably got given the shortest, floppiest, most forgiving beginner skis (usually pink, what is it with pink ladies skis?). I happily learned to ski on these until an instructor said I could do with trying out a slightly stiffer ski to give me more confidence/stability for my level. So on the next trip I specifically asked for a slightly longer, stiffer 'intermediate ski' - and could really tell the difference. In fact the first day it took a bit of getting used to, but definitely felt more stable. My point being that I could tell the difference, and the difference it made to my skiing - which you say you probably wouldn't know. So, maybe it is worth hiring a couple of times, trying some basic piste skis, trying some newer intermediate skis, and getting to grips with the difference? Seeing if some things get easier with an easier set of skis? Just by the by - I'm totally with you on loving wide and flat pistes (and like you, not bothered by skiing faster, just want to enjoy), but from my experience it's a very lucky day when the pistes are perfect. Rough snow, bumps, ice etc are all part of the mountain experience, and I'm focused on learning how to deal with them by whatever means, to make sure I can ski all over, safely and in control. But unless you have a legit medical condition anyone capable of skiing is capable of developing the stsmina to ski all day. They do however need to develop the technique to ski stacked so they are not burning energy from overwotking muscles. Asking about different skis seems a curious way of improving# compared to taking more lessons on more varied terrain and conditions. How about telling the instructor next lesson that you would like to improve in " rough" snow etc. # some experiential learners can do it by skiing a variety of skis and adapting style to the ski's characteristics. But most would just bodge through sub optimally with their existing flaws. this may or mat not be related to your question but I can advise from experience. Couple of years ago I got the opportunity to get a set of really good/advanced skis for my son off here at a stupidly cheap price for what they were. at the time he was practicing going from plough turns to full parallel but not carving. His progress ceased & he even went backwards, the skis were just to advanced for him. role forward a year & due to growth I got him a set of ex rentals aimed at intermediates this time & within an hour his skiing transformed & he was back to enjoying it. So that review says they are "labelled" as an advanced ski but OK for an improving intermediate - which you aren't. They are also designed for occasional off piste - which you don't do. But we are where we are - on balance I would stick with them now. As Dave says while these skis may not be optimal they aren't a big issue as it stands now. Mmm.... OK. As Dave says no reason why you can't ski all day at 58. If you only ski in the easiest conditions on the easiest terrain it's difficult to progress and difficult to have fun. Because skiing a few bumps, some rough stuff, a bit of slush, in poor vis, something a bit narrow will a improve your skiing across the board and mean you can have fun whatever the mountain offers you. Skiing isn't cheap and we in the UK don't have it on our doorstep so you want to get value for money/time when you do it! Ah OK. So that is a private lesson each time. Still not sure how much you'll gain from that given your profile. I think you need to find others to ski with. Maybe look on the solo skiers board or look at the Snowhead bashes. "you go for skis same as your ability"
FWIW. My advice would be to ask on here for an Instructor recommendation, when you have decided where you are going. The right Instructor will jump your level and confidence up significantly.....and if they are doing a great job, take another lesson or two during the week. IME. A day to find your "Ski Legs", then a lesson; then a day to work on what you are taught; then another lesson. Never ski aimlessly about....always be working on something and experimenting with edge/pressure/rotation/body position. 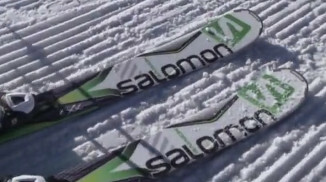 If you have the same skis that you linked to in that review, I think they look fine.....provided you up the ante a bit, so as to get a feel for what they are capable of. Sorry if we are sounding harsh. I totally understand it's not easy and you did some research. But back to the opening question. You do not need to rent "better" skis. These are fine for what you need. @peter_h, I have X-drives. In fact I have 2 pairs, as I keep a pair in Austria. I tested them in Austria and loved them. I am an intermediate, confident on most red runs and some blacks, ok in moguls if they are not icy - I can only carve a little bit on easy blues. I think the skis are great and at your fairly modest level of skiing (to be honest - 10 lessons is not "loads", 100 lessons perhaps would be) you would not need anything "better". You think they are great and don't think you would notice the difference anyway.... so what more are you looking for? You can get much better rental skis than ours - but neither you nor I could handle them. OK; all noted; thank you. So the answer is that I should not bother trying to rent something different. @peter_h, where are you in the UK? I only ask because you could do far worse than investing some of your ski budget into a good coaching programme at an indoor slope. Inside Out for instance do an excellent job of taking people at your level and above and turning them into real all mountain skiers. Plus you certainly do not have the space or snow conditions for park and ride laziness in a snowdome. Oh. That's not what I took away from that. On the OP, the problem is the word "better". To a shop worker that would mean one which is for more advanced or "better" skiers. . If you were to your instructor the same question, the answer may actually be helpful. It's a trap to buy gear early, unless you buy beginner gear and don't intend to progress. Buying advanced gear will at best slow down the learning process, and may terminate it. I think what people are saying is getting a rental would at best give a small marginal gain. There is faff and expense involved. And it's as likely that he gets something that doesn't do a better job as he gets something that does. And assming he finds something that is better he then has to try and find the same ski next time or buy a pair. The skis he is has are decent enough skis and he doesn't seem to have any major problems with them. I purchased a pair once, skied them a week, and hated them. I knew I had to sell them and get something else. Agreed but as above... I don't think the OP should waste any more time on this. A more advanced ski isn't an issue as long is it's the right ski. Advanced doesn't intrinsically mean difficult or requires expert technique to be able to drive IMO. I'd just expect a better construction/design - so that it will make my job easier, carry me where I want to go and stand up to the use. The reasons I bought my own skis were (a) there are some hills not too far away and IF it snowed up (which has happened, though rarely) I thought I could at least mess about up there and (b) I along with others fly a light aircraft and if you can fly to some place then having the skis sorted and adjusted saves time and a little bit of money (this aspect has not really worked out because most flyable locations are suitable only for advanced skiers e.g. Zell am See, though I did get a good trip out of Annecy and going to Grand Bornand, and Bolzano / Madonna looks feasible). @peter_h, Hemel, where Inside Out are based, is a much better centre and you can use your own kit of course. But it wouldn't be about the kit - you presumably have your own. You are theoretically in reach of Hemel and there is a coaching operation there ( although I suspect likely to wind down for the winter crazy season) that many sHs will testify has brought their skiing on a lot. No one goes to snowdomes for sheer enjoyment ( unless they get a lot out of type II fun) but they are a great resource for improving if you don't live in the alps and ski all winter. But if it's not for you it's not for you. I just suspect that resistance to trying stuff out of your comfort zone might seriously hamper the potential enjoyment you get from skiing. Or to use an analogy you're enjoying eating vanilla ice cream. Do you restrict your palate to that for ever? Sorry to be harsh again but I think that is nonsense. Every ski area I've ever been to has had plenty of slopes for beginner/intermediate skiers. Sure, Some reasons are a bit tame and some resorts have more advanced terrain or are a bit gnarly but really I think you approaching this in the wrong way. If your idea of skiing is or a wide smooth shallow motorway piste for a couple of hours a day then save your money and take up another hobby. @peter_h, I would tu and attend either Oktobertest or EOSB, as this will allow you to try lots of different skis and decide if you like them more or less than your current skis and whether you like them significantly enough above your current skis to make you spend more money. (I came away to this with a yes hubby with a no he really liked his skis). My only comment on buying v renting is being given a poor rental ski can actually do as much damage to confidence and technique as being on a ski that's too advanced. My wife was given a sh*t ski 2 seasons ago, with apalling edges and she struggled to hold when things got a little icey, to the point that it rocked her confidence. We had to take them back to the shop and ask for a different pair. If your idea of skiing is or a wide smooth shallow motorway piste for a couple of hours a day then save your money and take up another hobby. Oooh. That's very harsh. I'm not sure any of us are really in a position to tell others what kind of skiing they're allowed to enjoy as long as they do it safely and considerately. As far as I can tell the OP is doing great for someone who's only been skiing for a couple of years. 1. You might get more out of a ski that's easier to use. Your skis are not ideal for somebody who's still learning how to work them properly. 2. It might be worth you trying some hire skis, but I'd suggest something more suited to a beginner / intermediate. Maybe try some for a day and see how you get on with them. really, I don't think you know what "advanced" means. It's a dead easy ski area with a potentially tricky black back to the City Express (that you can download on to avoid). I took a second week skier there and he loved it. My other friend hadn't skied for years and it was fine. another perhaps harsh observation, but you enjoy really easy slopes that many people would be able to tackle at the end of their first week and most in their second or third week of skiing. That said, you enjoy it but you are IMHO limiting places to go when in fact you could go just about anywhere and (given you have decided that more lessons is not the answer for you) navigate round the bits you don't like - just like the early intermediates do. Skiing on your own comes with risk though - you get into bad habits and it is easy to regress. Been there, done that and it took a lot of lessons and ski weeks to improve to my current standard. It's a suggestion not a directive. He says he's been on 10 trips and had at least 10 private lessons. I am trying to be helpful... honest.